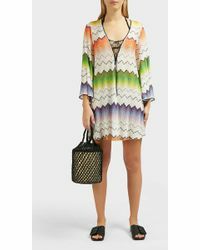 One of the world's most renowned brands, Missoni is a family-run label launched in Italy in 1953. 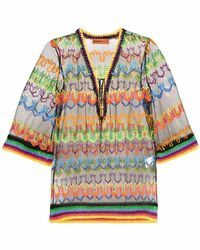 Boasting a natural, free-spirited and quirky aesthetic, Missoni is best known for its distinctive bright, patterned knitwear. 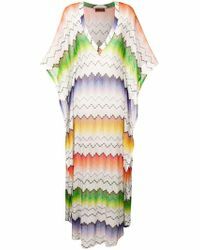 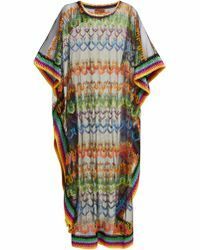 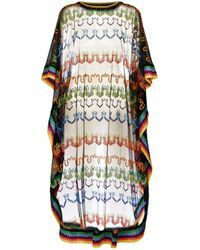 Taking an innovative approach to style and experimenting with lines and prints, the collections of Missoni kaftans are both eye-catching and elegant. 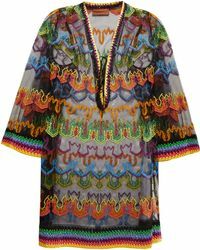 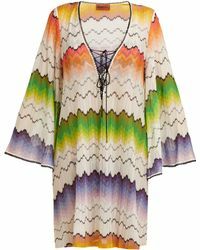 Featuring zigzag patterns, luxurious fabrics and tribal-inspired finishes, cover up in statement style with Missoni kaftans.